In PBR's Big Milwaukee Homecoming, The Brewing Giant Goes Micro It's been nearly two decades since Pabst Blue Ribbon left the city whose reputation it helped craft. Now, the longtime brewer is returning to its old stomping grounds with a new microbrewery. Pabst Blue Ribbon was founded in Milwaukee in 1844, where it remained until 1996. Now a hipster favorite, the old-timer is making its way home — back to the very same seven-block complex it left behind. Think about Milwaukee, and two things probably come to mind: cheese and beer. And with good reason. The city is built on a foundation of breweries. Among those, the most famous today is Miller — but that's not how it always was. Established in 1844, Pabst Blue Ribbon was the first of the great Milwaukee brewers and the first beer company to produce 1 million barrels a year. But in 1996, Wisconsin's long-brewing pillar packed up and shipped out of Milwaukee, contracting out the production of its beer to other brewers like Miller. Now, nearly two decades later, PBR is returning to town, and to its sprawling, historic compound — a place that spans seven city blocks. But don't be fooled by the scale of the building; the brewing giant will be making its homecoming with a microbrewery, complete with restaurant and tasting room, inside the original complex. "It's very exciting for us to have this innovation laboratory, and to be back in our hometown. There's so much loyalty and passion for the brand," Eugene Kashper, Pabst's CEO, told the Milwaukee Journal Sentinel last month. "But we will always try to tie that back to our roots." Gregory Deuhs, master brewer for Pabst, says that opening a microbrewery in Milwaukee is about more than coming home. It's about bringing back some old favorites — including some beers out of the past. "Of course Pabst Blue Ribbon, as well as the other Pabst products that were under that umbrella like Andecker, the Pabst Bock, Kloster beer." But Deuhs also says the microbrewery will be a testing ground for new recipes, which, if successful, could be produced for wider consumption. "It could seem like a natural progression. Microbrews are in many ways the antithesis of mainstream breweries," says Caleb Warren, a marketing professor at Texas A&M University. Though Warren does warn that the move could backfire. "It might seem like the brand is just doing this to try to gain money or gain market share, which is basically the death toll of saying the brand's no longer autonomous." That said, brand autonomy isn't exactly on the mind of every PBR drinker. Take younger people like Jessica Desimon. "People always make fun of me, but I'm a pretty big Pabst fan," she says. "Wherever I go I still bring like a 12-pack or something of PBR. And I always just get made fun of because I get kind of prideful cause it's like in Milwaukee." 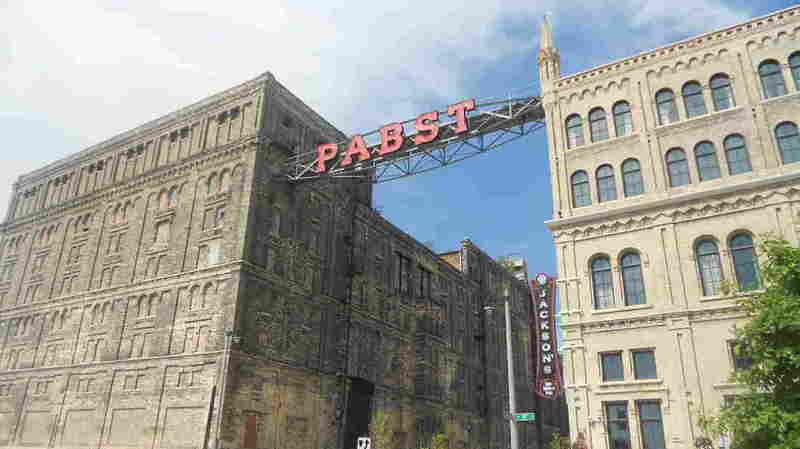 Depending on how the microbrewery pans out, PBR plans to open others outside its hometown.